Hang onto your hats, folks, the Ninja Captain himself, Alex J. Cavanaugh is going for a hat trick with the third installment of his Cassa series......CassaStorm! As a huge sci-fi fan, this sounds pretty awesome to me. I've read where Alex took some inspiration from the old Battlestar Galactica series for this series and that, right there, is enough to sell me! 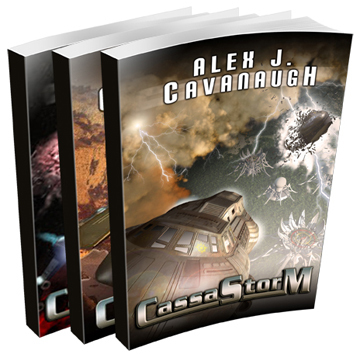 I had an opportunity to ask Alex about the future (no pun intended) of the Cassa series....as it might jump to other outlets...mainly comic books. My question was what team would he like to see helm a possible Cassa comic book series. I couldn't agree more and I know I'd, definitely, be picking up those issues. So, I bet you're wondering where you can pick up CassaStorm, eh? Paperback : $16.95 USA, 6x9 Trade paperback, 268 pages, Dancing Lemur Press, L.L.C. Online: Barnes and Noble , Amazon , Amazon Kindle , and Goodreads. 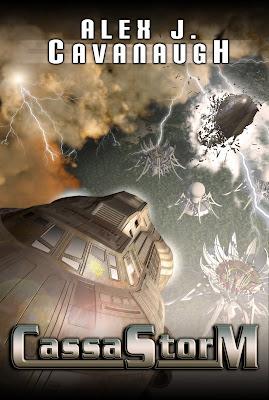 So, check out CassaStorm tomorrow (Sept. 17th) and, while you're at it, check out the rest of the Cassa series and get ready to Ride Out The Storm! Best wishes to Alex and continued success! Thanks, Mark! And really dug your question. great stuff.... the storm is coming! this is a good storm! A powerful storm and is hitting everywhere! Jeremy: Thanks Jeremy and I totally agree! You never know. Amanda Hocking's two book horror series got made into a comic series this year. And her horror books were self-published. Great question Mark and congrats Alex. George Perez is one of my favorite artists Alex. Good choice. Thanks for hosting the storm Mark! Hurrah for Alex. I'm not familiar with the comic book artists so I'll take your word for it that they're good at it. What a good friend for helping Alex get the word out about his book. 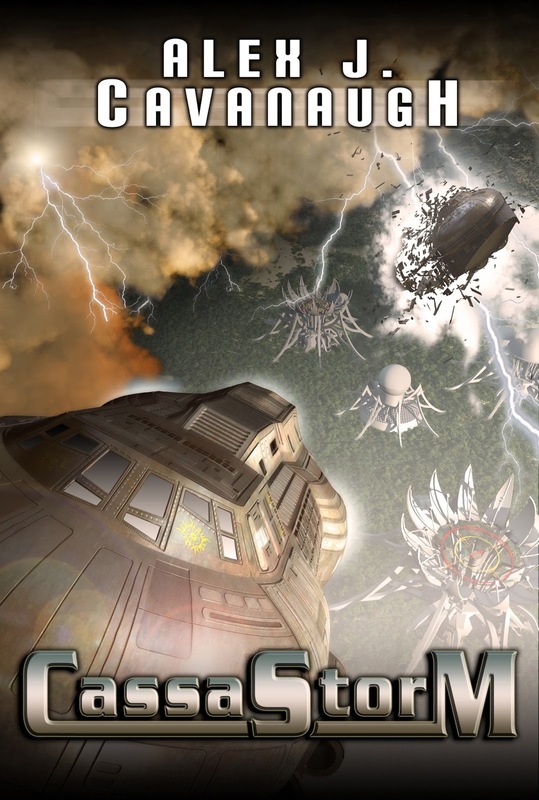 I loved Battlestar Gallactica (the original) so I should like this. Congrats to Alex. Congrats, Alex! Doesn't surprise me you would ask a comic book question, Mark. Bought my copy and am already loving it! How neat to see the ninja dude get a mention on your superb site, my friend. Ah, a comic book series. What a marvel that would be. Well done to Alex. Good of you to share this, Mark. And at three in the morning I must go and find another rental clone. Nicely done...big cheers for Alex!